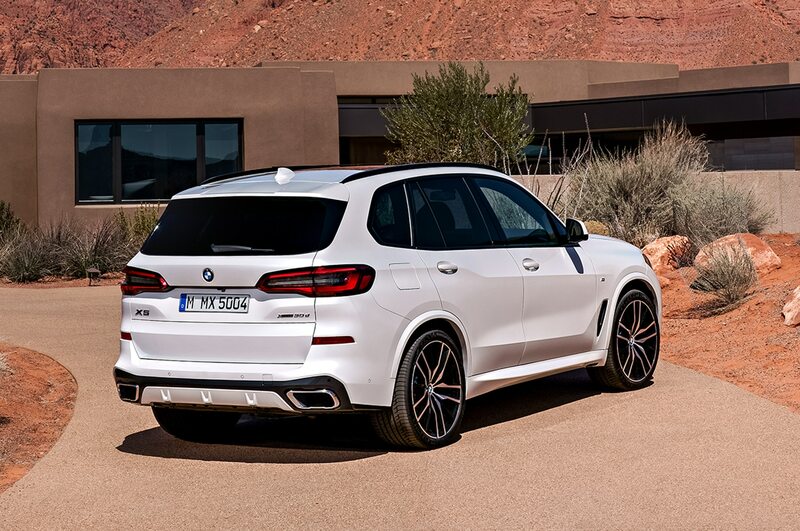 It may resemble last year’s model at first glance, but it’s not. 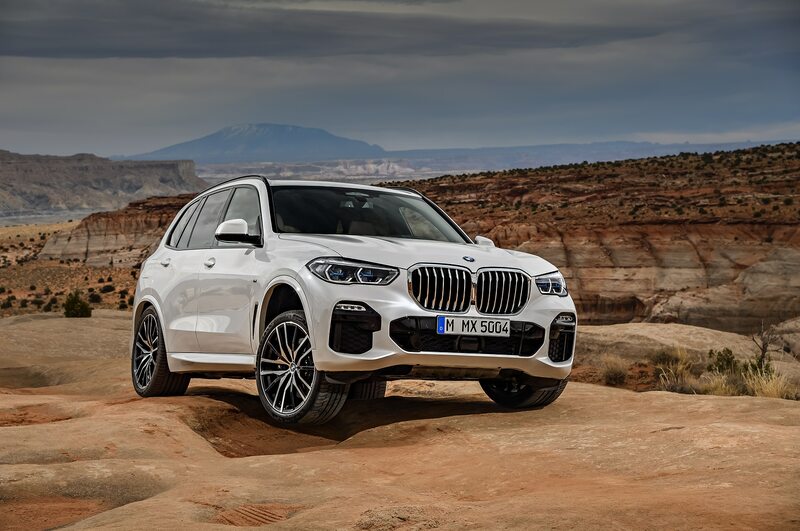 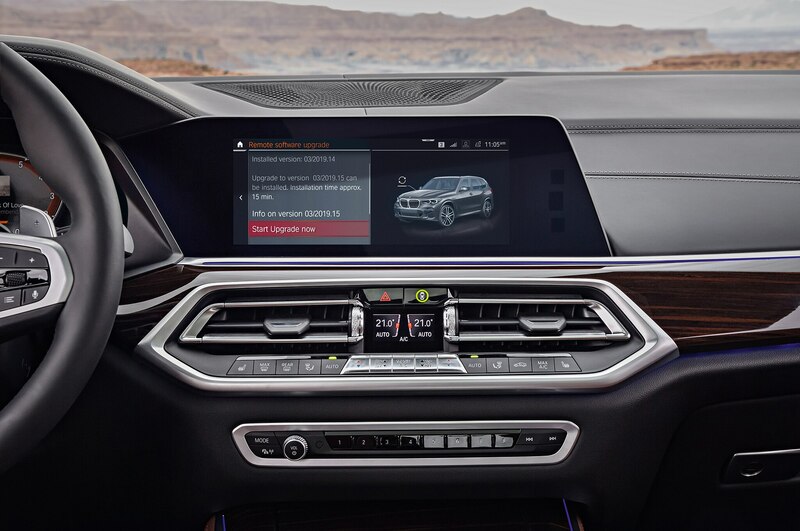 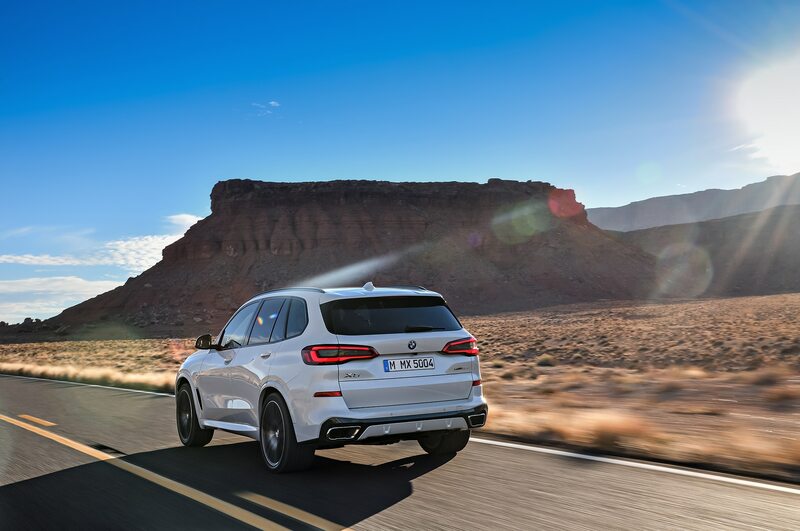 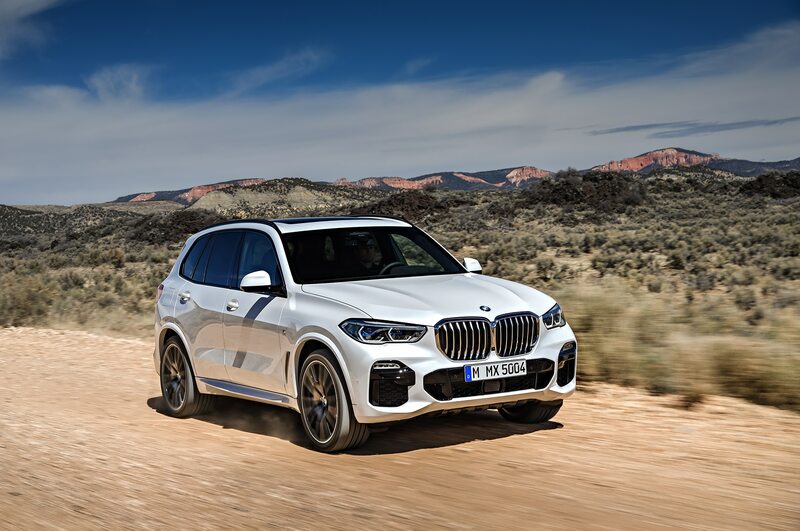 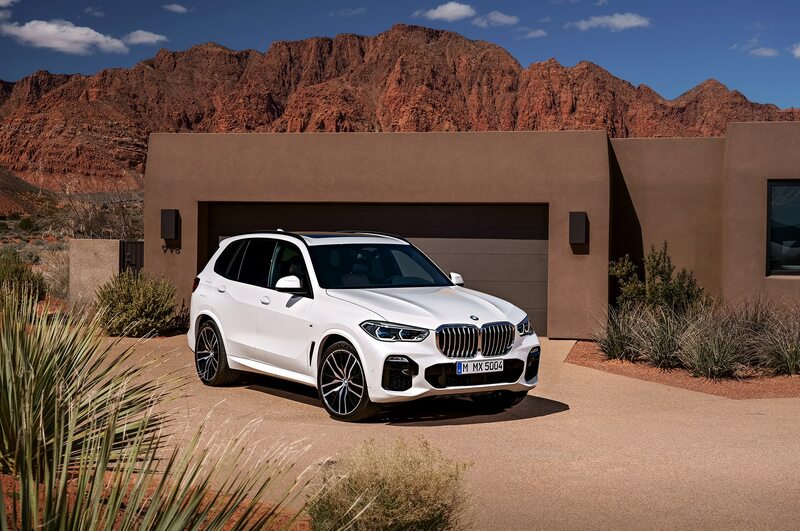 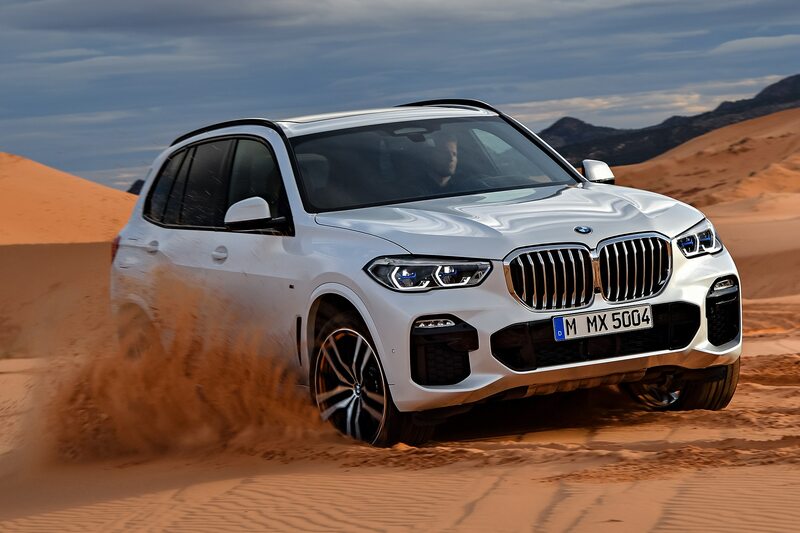 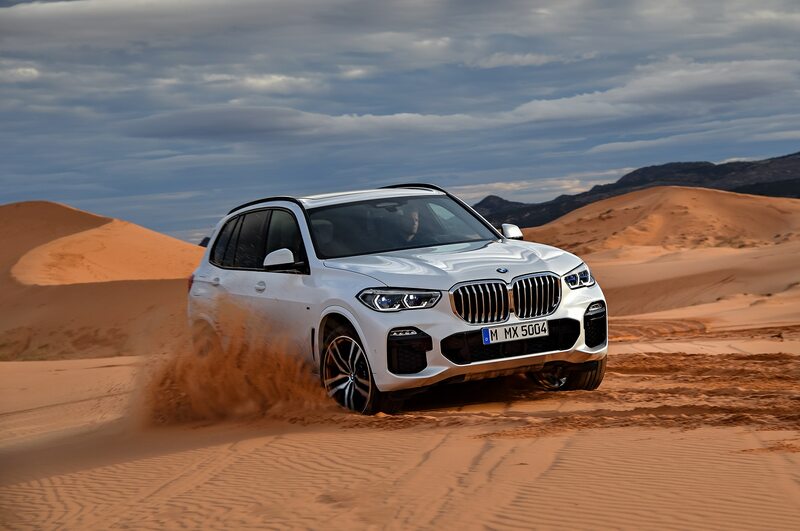 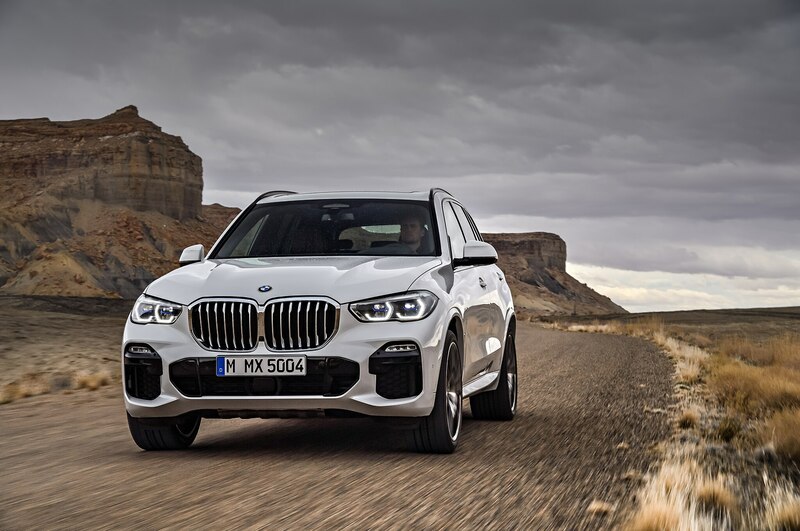 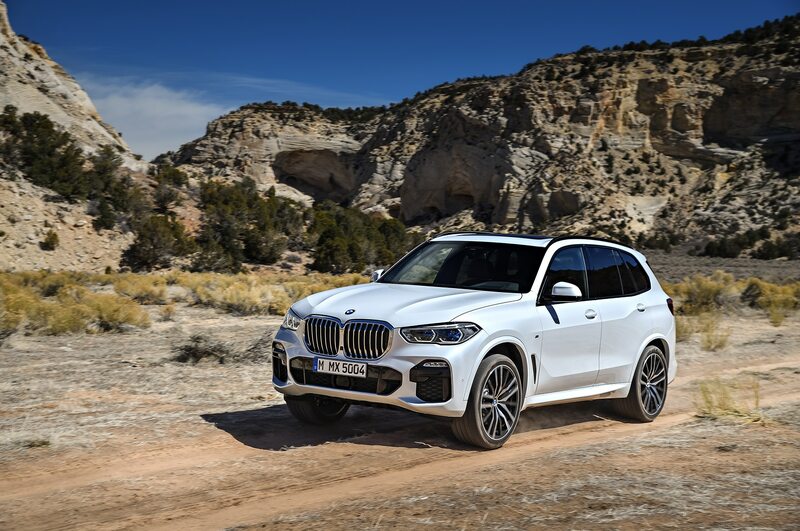 The all-new 2019 BMW X5, which the marque likes to call a Sports Activity Vehicle (SAV) instead of an SUV, gets two new engine options, a bigger grille, and new technology. 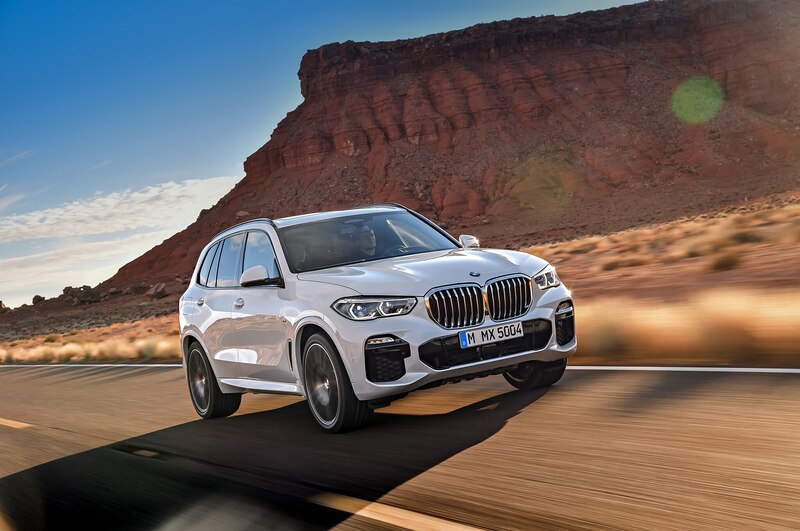 BMW’s passenger hauler, which seats five at launch but will be offered with a third-row later on—is available in two variants—the X5 xDrive 40i and the X5 xDrive 50i. 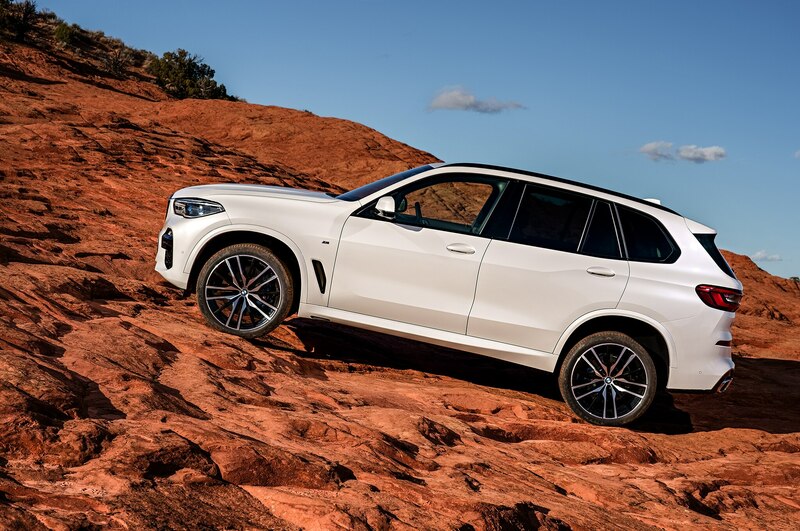 Both share a new platform with a wheelbase of 117.1-inches, which is 1.6-inch longer than that of the previous generation. 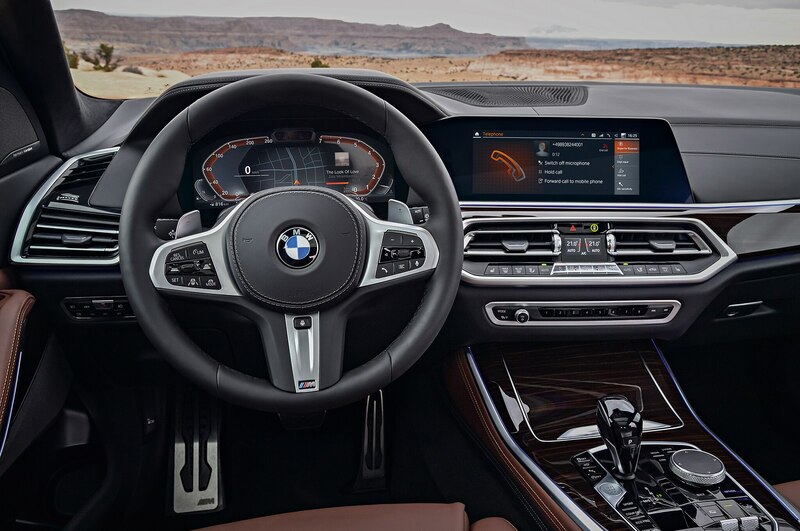 It also measures 194.3 x 78.9 x 69.0 inches (L x W x H), which is an increase of 1.1-inch in length, 2.6-inches in width, and 1.0-inch in height. 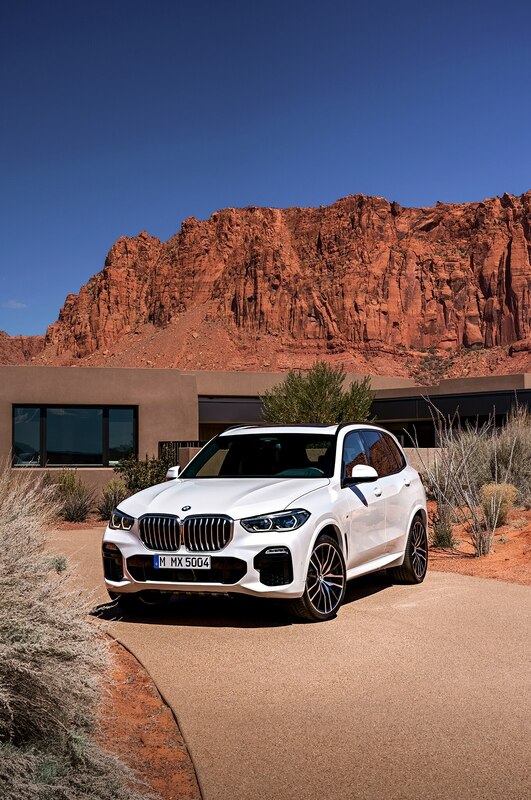 Under the hood, the BMW X5 xDrive50i packs a twin turbo 4.4-liter V-8 with 456 hp and 479 lb-ft of torque versus 445 hp and 480 lb-ft of torque from last year’s V-8 mill. 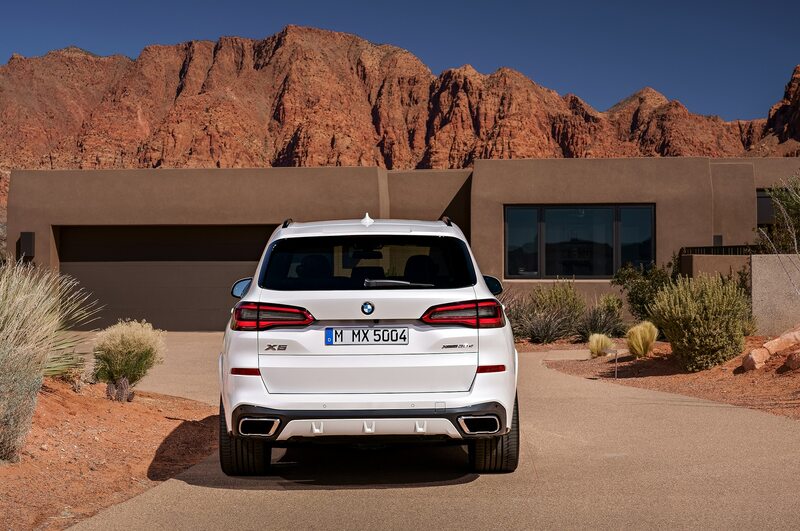 BMW claims a 0-60 mph time of 4.6 seconds and an optional top speed of 155 mph. 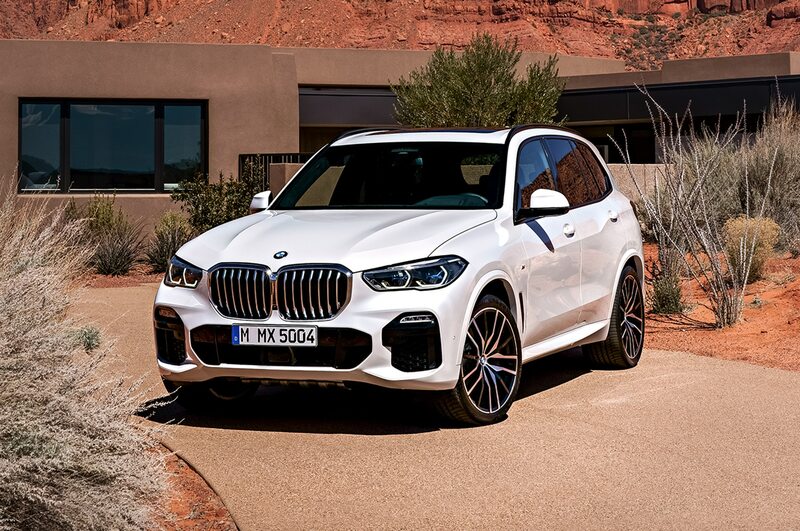 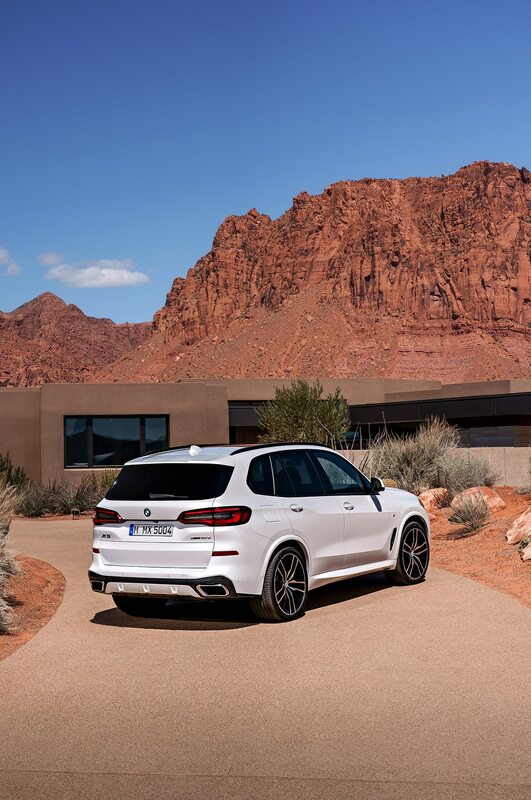 The X5 xDrive40i offers a twin turbo 3.0-liter I-6 that delivers 335 hp 330 lb-ft of torque. 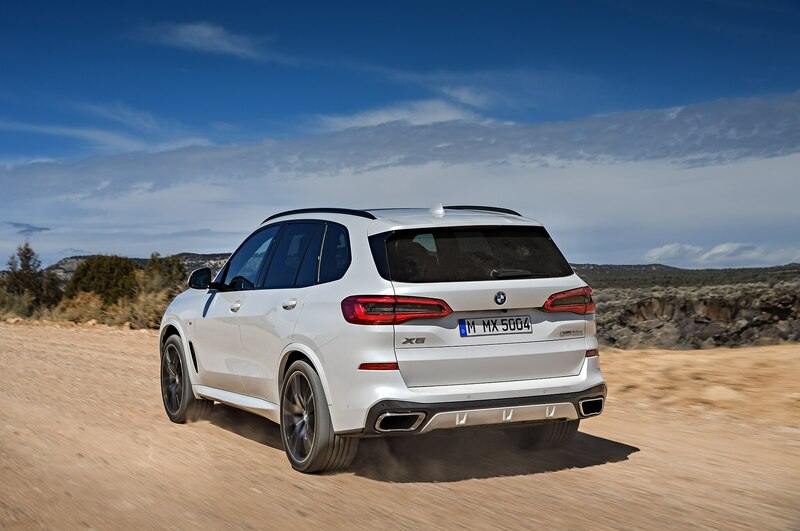 It replaces the previous model’s 2.0-liter I-4 that offers 308 hp and 332 lb-ft of torque. 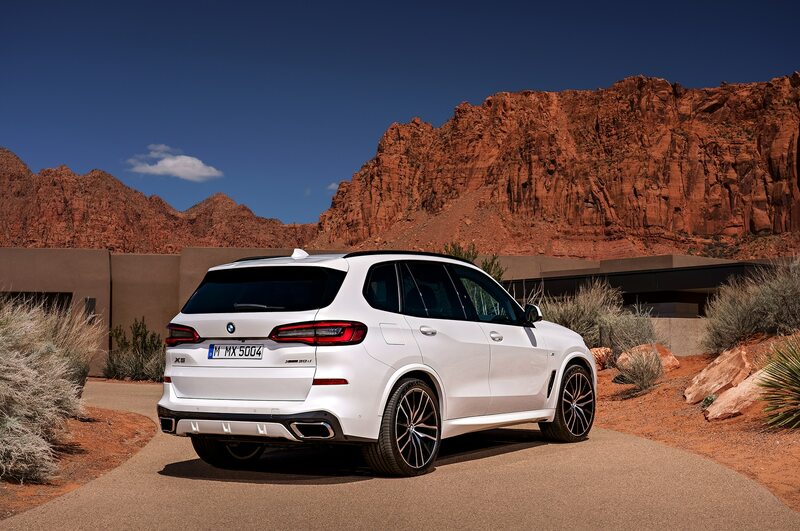 BMW claims it can zip from 0 to 60 mph in 5.3 seconds and has a top speed limited to 130 mph. 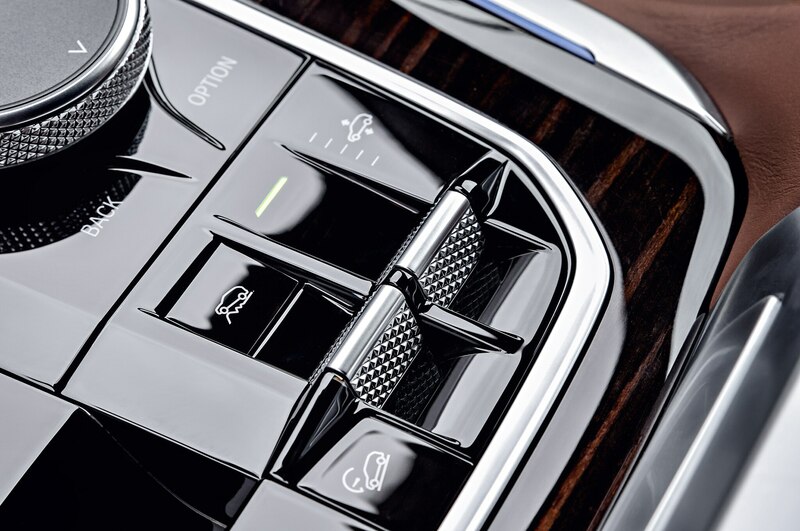 Both engines are mated to an eight-speed automatic transmission with all-wheel drive and an electronically controlled locking rear differential. 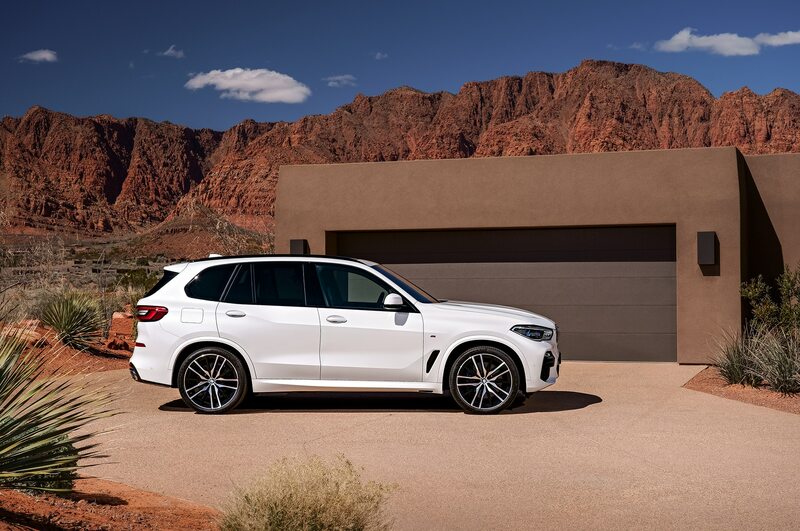 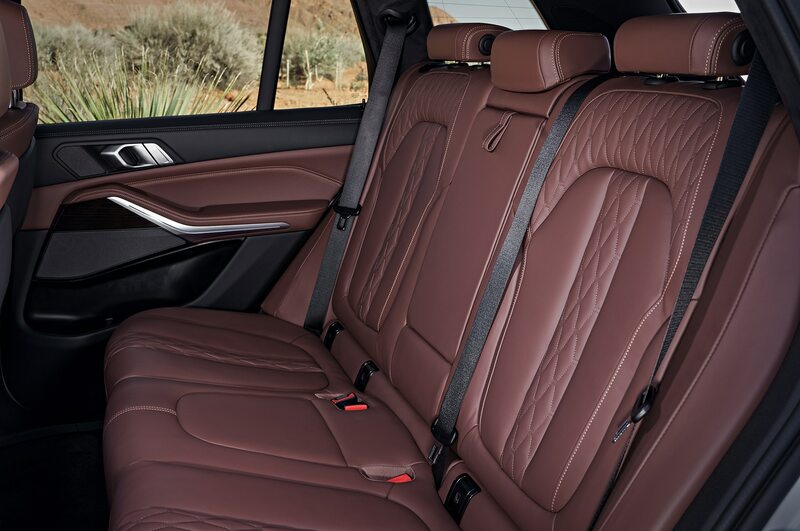 The X5 gets a standard Dynamic Damper Control system and two performance settings—Comfort or Sport. 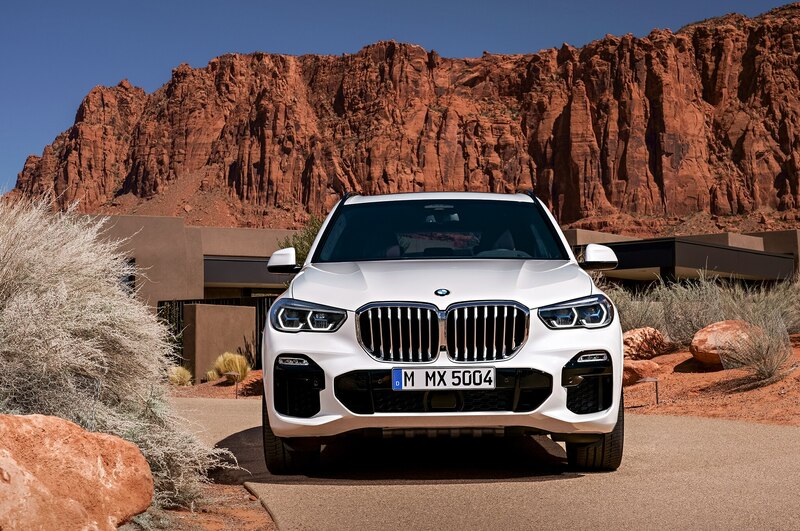 Up front, the 2019 X5 gets a bigger kidney grille flanked by adaptive LED headlights. 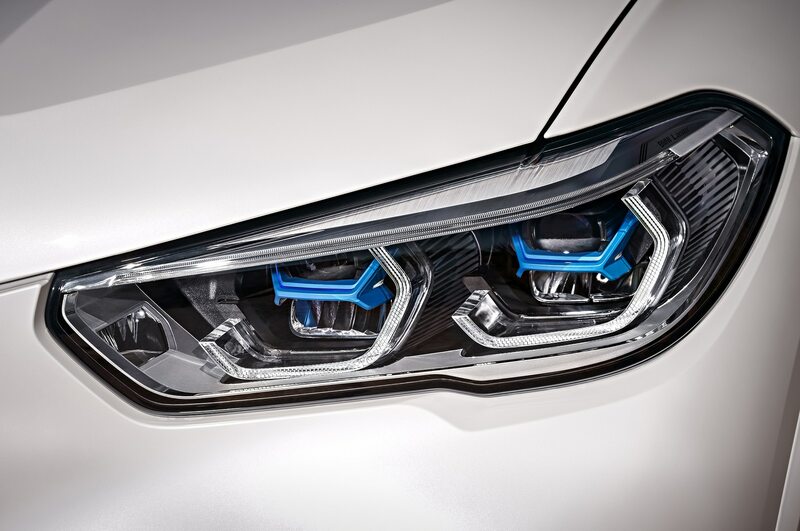 Hexagonal BMW Laserlights are optional along with xLine and M Sport model variants. 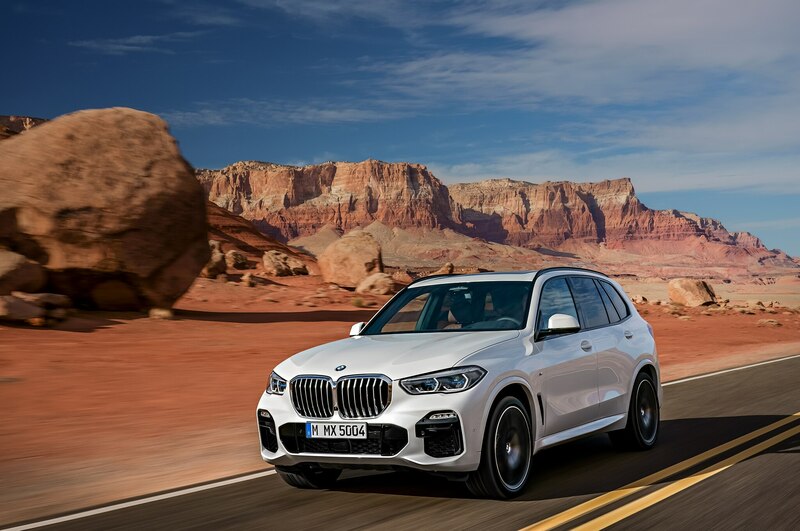 Standard xLine models get matte aluminum grille bars, underbody protection, roof rails, and satin aluminum side window trim. 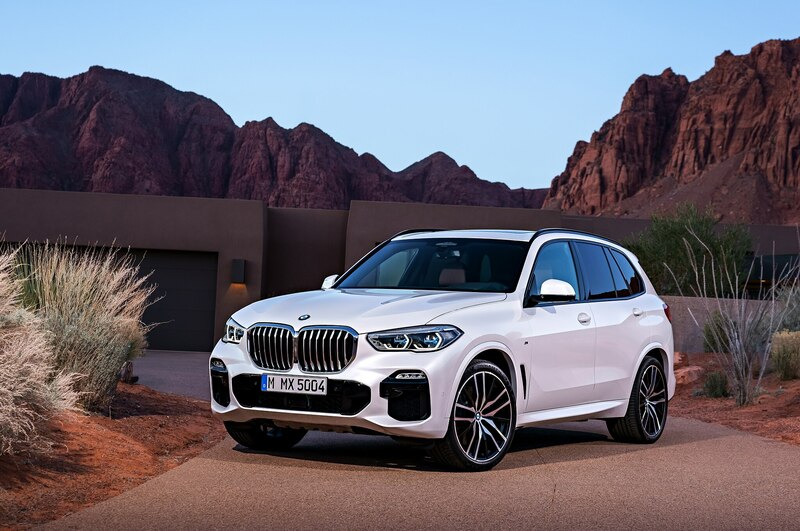 M Sport models receive wheel arch and bumper trim, rear underbody protection and side skirts painted in body color, roof rails, and high-gloss black side window trim. 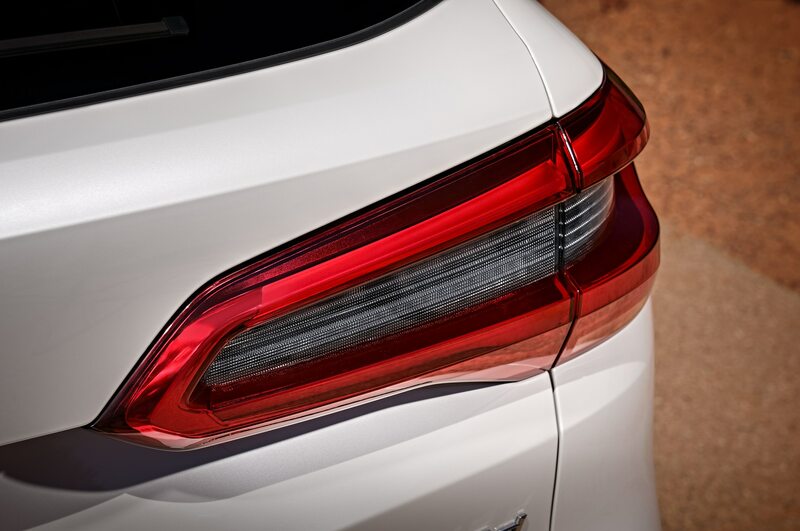 Around back receives a refreshed rear with narrower LED taillights, a two-section tailgate, and dual chrome exhaust tips. 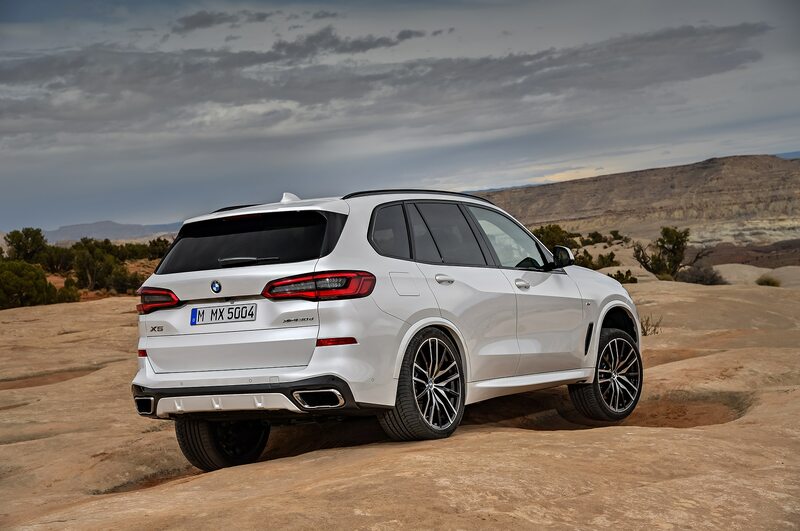 The X5 rolls on standard 19-inch light-alloy wheels; M Sport gets 20-inch ones in a twin-spoke design. 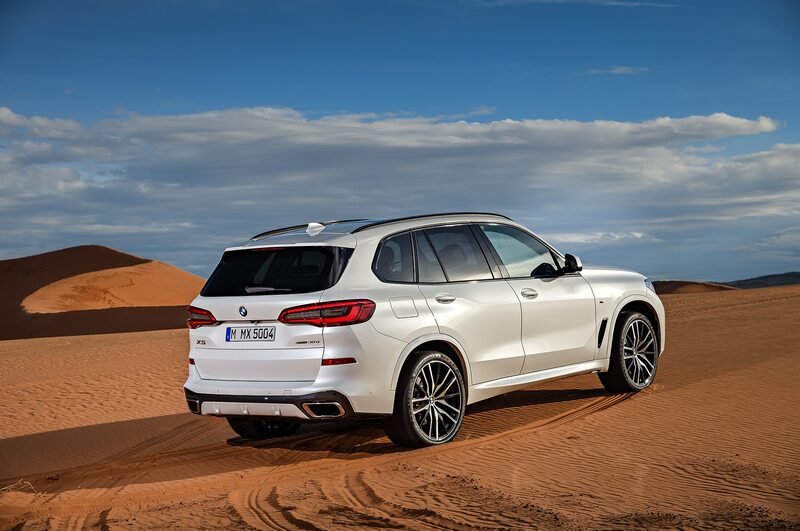 If those aren’t big enough, there are optional wheels in 21-and 22-inch sizes. 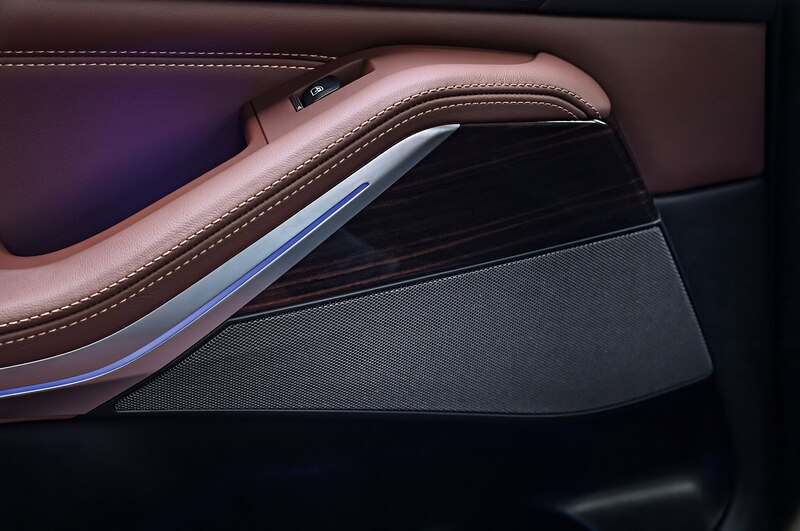 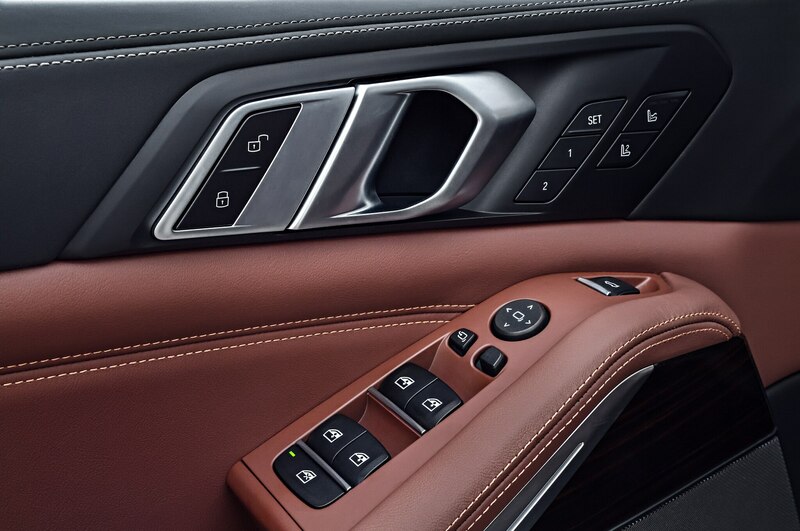 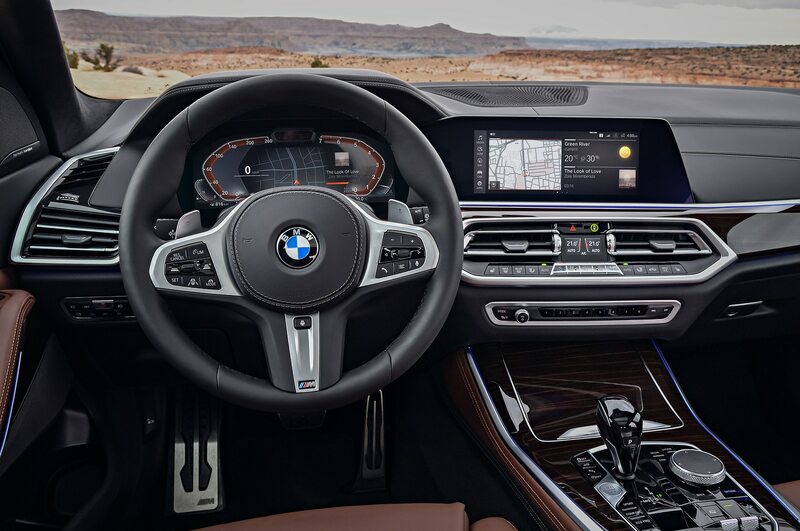 Inside, the center console sports an updated iDrive Controller/transmission selector lever, a 12.3-inch infotainment display, and standard electrically adjustable and heated sports seats. 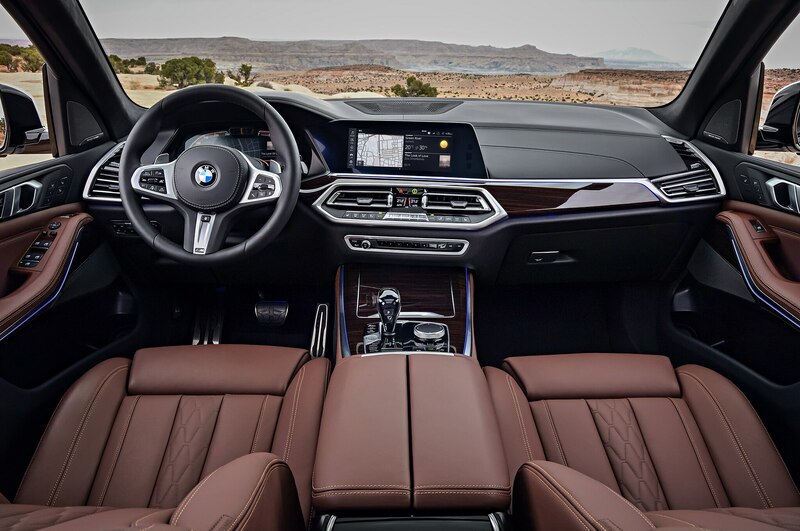 Other new features include a four-zone air conditioning system and a panoramic glass roof that’s 30 percent larger than last year’s SUV. 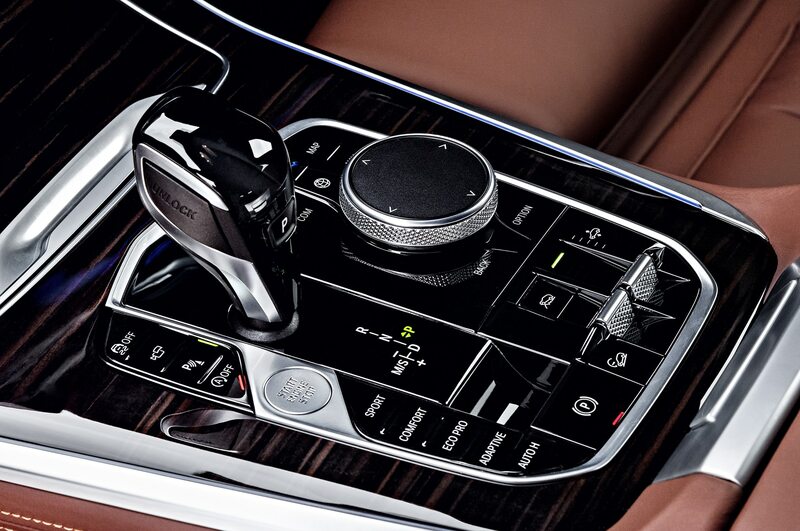 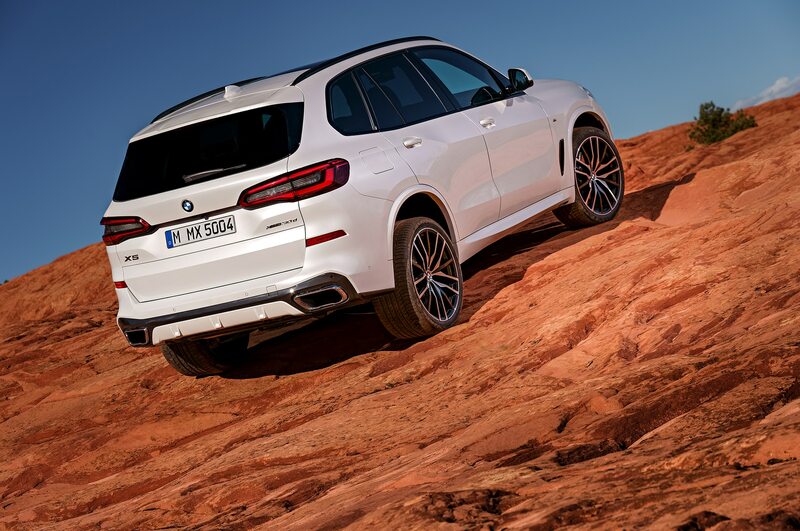 The X5’s ground clearance can be raised or lowered by 1.6-inch at the touch of a button. 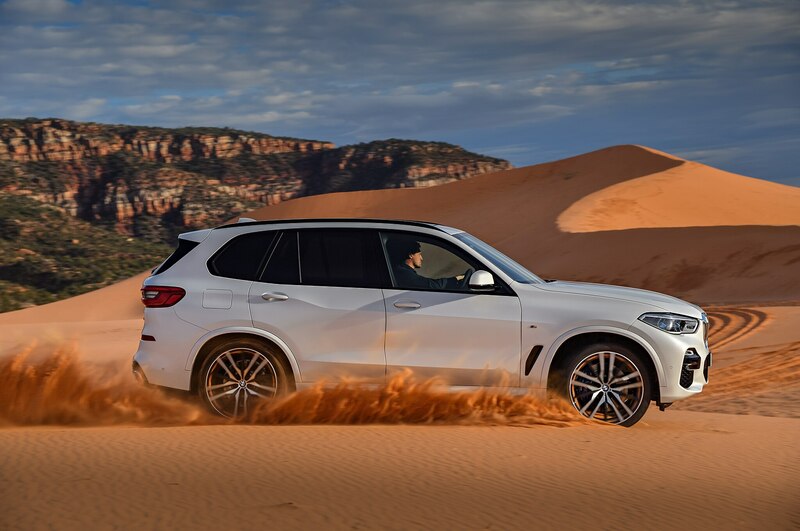 Also, when Sport mode is engaged or the truck’s speed is over 86 mph, ride height is automatically lowered by 0.8-inch, according to BMW. 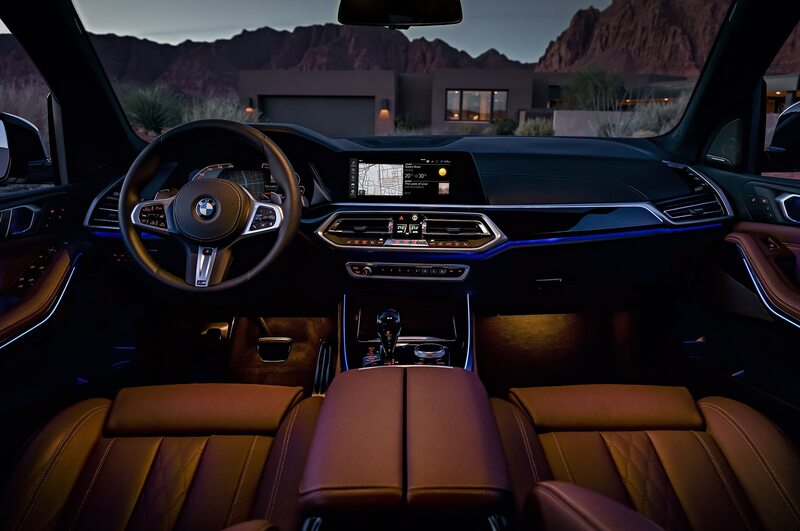 Standard tech goodies include an Active Driving Assistant package that includes Blind Spot Detection, Lane Departure Warning, Rear Collision Warning, Frontal Collision Warning and Pedestrian Warning with City Collision Mitigation, Cross Traffic Alert Rear, and Speed Limit Information. 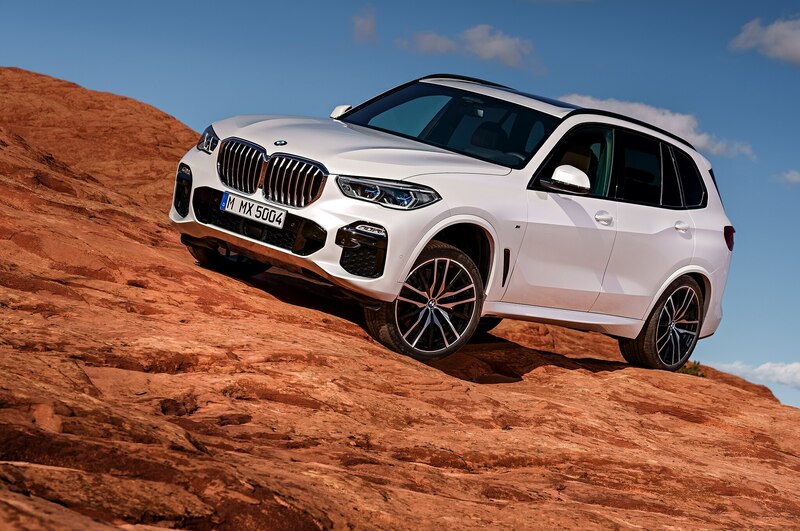 The 2019 BMW X5 will be assembled in Spartanburg, South Carolina and pricing will be announced closer to its November launch date.